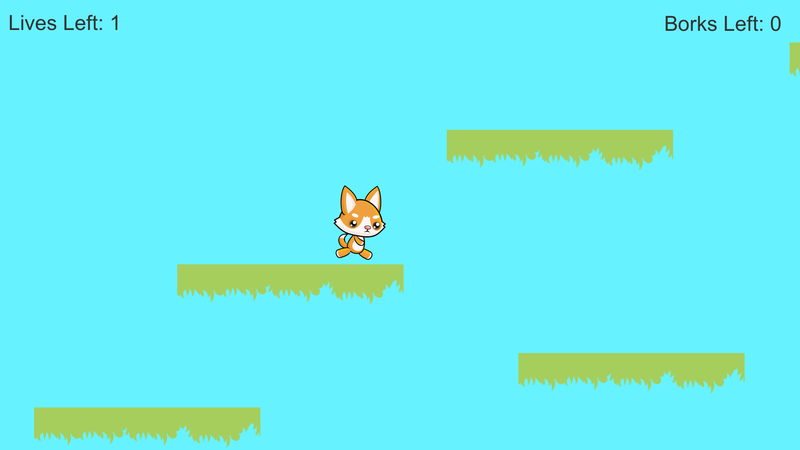 Help a young doggo jump and bork his way across some treacherous terrain in his quest to get through a deceptively bright and happy landscape. Don't let the bright colors and happy little doggo fool you, this adventure won't be a cake walk. You've only got three chances to make it through every level, unless you decide to explore and find more, but do you want to take the risk? 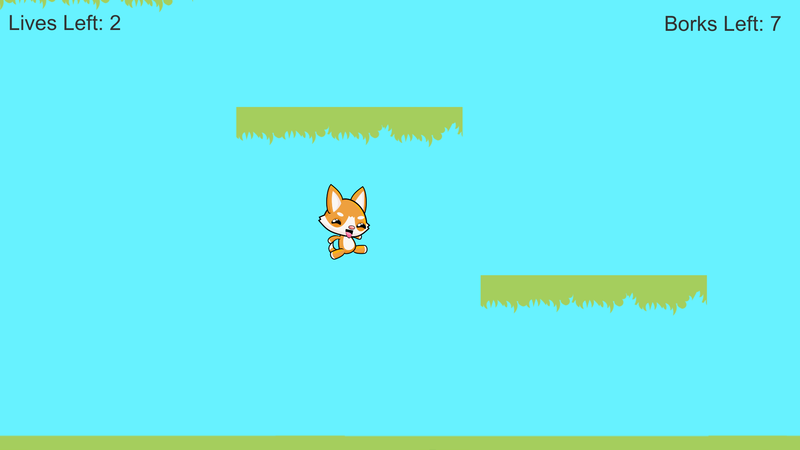 Additionally, you can't simply run past enemies and shoot them willy-nilly, you're only allowed five borks before you go into maximum overbork. However, you can find more to keep the overbork at bay, but as with the lives, do you want to take the risk? 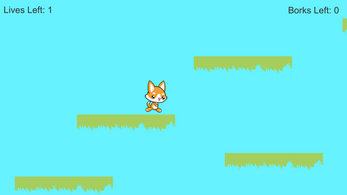 You'll make your way through three separate levels, each getting progressively harder with more enemies, more challenges. 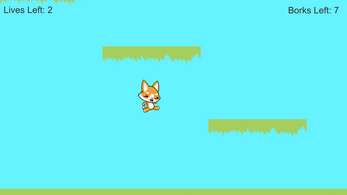 Each level also has their own unique platforms and end goals to give a more unique feel to each of them. It's no chore to learn this game, simple and easy to handle controls make it a breeze to pick up. 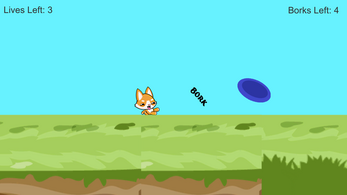 The challenge comes from mastering it, timing your jumps and your speed correctly, knowing when yo use your borks against an enemy and when to avoid them, knowing when to sit and wait for an enemy to pass by before rushing into things.